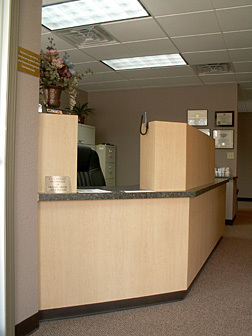 Our client aspired to move his chiropractic practice from a rented space into an office of his own. 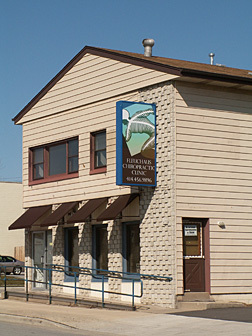 Our architectural firm designed a new chiropractic clinic in retail space vacated by a restaurant. Wiberg Architecture converted the former restaurant into a spacious and functional therapeutic treatment center. The existing kitchen was ripped out and replaced with an examination and x-ray room. 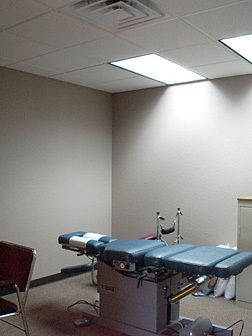 The former dining area was transformed into a patent waiting area with additional examination room. 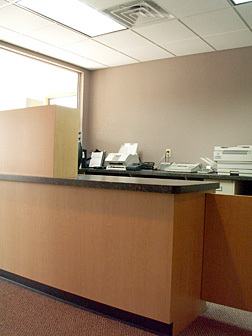 Other changes included exchanging the dated service counter with an elegant reception counter. Wiberg Architecture coordinated the design of the new exterior canopies to match the existing structure’s texture, color and details, thereby bringing it in harmony with the original building.